I was surprised by Ali being gay, but I suppose that just never came up in previous episodes. I thought they would play the angle of hinting at her and Rakesh, which would be tropey. I'm glad it didn't go that way. And having her as a lesbian made for good drama with the reverend, but not in the I thought. There's a theme of communication in the show that is pretty decent (The Finer children and their dad, Rakesh and Jaya, Cara and her mom). I like that every episode they think they're about to figure God out, and then they just end up having to accept the "request" and help people. I haven't found it too predictable to be boring, yet, but there's still more episodes to go. There's one thing that bugs me in all the episodes is this weird blurring effect around the edges of the frame for most scenes. It's like an over focus of the camera but done post-production. And the lens flare are just straight up out of control. This was a super sentimental episode, and while I can appreciate that, it did feel pretty slow. But I think that was mostly because I spotted all the twists a mile away and wanted them to see it too. The minute they zoomed in on Beaker I knew that was Fliss' Jim Smith, and then when they started interacting with him I realized he's gay because he never talked about Fliss with the same stars in his eyes that she did. Which is actually exactly how the actor should have done it, because that's who the character is. I'm not keen on how long they're dragging out Miles and Cara eventually getting together. With this Eli guy in the picture it's going to be just another love triangle trope and I'm not looking forward to that. Rakesh and Jaya are great though, I really like them! And props to Rakesh for calling out that it should've been called the Pingala sequence! I've watched the first two episodes so far. I find it reasonably entertaining, and I'd like to keep with it for a bit longer to see how it goes, but it's also in the lower tier of shows I'm trying to watch, so whether that happens will depend on how much time I have. I caught an episode of this last night after 60 Minutes. It was surprisingly good. The commercials for it didn't do it many favors, and it's probably not going to win Emmys or anything, but it was quite watchable. The lead, Miles, in particular is enjoyable. Aside from the racial backgrounds of the cast and the social media gimmick, it's actually a pretty old-school, conservative take on religion. The plotline wouldn't seem out of place in a 1950s movie. I suppose modernizing old-school TV formulas is what CBS does best, but it works. I'm with DevilsAdvocate on this one: I'd be happy to watch more, but I won't be surprised if I don't, either. Episode 5 was pretty good! I liked that Miles found his own reasons for staying friends with the God account, because he just wants to help people. The girl he saved, Rachel Blake, was a good portrayal of survivor's guilt and alcoholism, you got the sense that things could get pretty dark for a minute until I remembered what kind of show this is. I'm sad that we might no see Jaya for a while, I was enjoying her character. Episode 6 had that typical religion vs family trope that we've seen before, but while I think it's a little too rosy, I liked that it wasn't about having faith will solve your issues, and that in the end you have to let go of the old ways and put your family first. What bugged me a bit was that it was a Muslim family that had to deal with it. The Jewish family, too, but they didn't get any screen time. I know they're trying for inclusiveness, but if you had very skewed perspectives about Islam, this episode took those stereotypes and ran with it, with the only recourse that the father had to concede, like most Christian viewers would want. 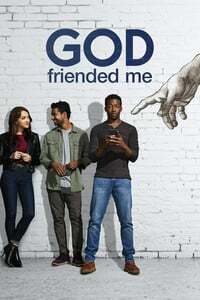 I would've liked the show to also do the same to Christianity, but the whole thing is centered on the Christian God, so I don't see that happening. Although you could argue that Arthur also conceded by reconnecting with his atheist son. Anyway, the rambling above is to say that I'm actually enjoying that there's a balance of emphasis on faith and on personal connections guiding the morals of the characters. The little twists of connected characters like the callback to the first episode with the doctor they saved running out of the taxi is pretty neat! episode 7: I knew when they introduced Uncle Terrence that he wasn't as great as Miles saw him. And it's kind of a trope to have the fancy looking black man turning out to be in debt. While I didn't appreciate that they chose financial issues to be the reason that Terrence needed help, it at least got us some great moments with the family. Overall this one was kind of lackluster, since I don't think Miles really did a whole lot other than convincing Arthur to not go to the board right away. For now it looks like Uncle T will be absent for a few episodes, along with Lena who we've only just saw last episode. The plot with Cara and her parents rounded out the family stuff, but I thought it was kind of shoehorned in to give us something else to care about, but I didn't really. I was fine with her reconnecting with her mom and that she can pop up once in a while for another perspective. I suppose the whole dad thing just gives us more background on Cara, but it felt unnecessary. Where was Nia aka DJ Trek? They can't just introduce her in one episode and wait two whole weeks to bring her around. I've never seen a safe with a numbers readout that large. It was stupidly funny. The twist with Blair being Alfie's ex was a surprise for me. The show cut off the story with Blair just quick enough and then spinning it into Miles and Nia getting to know each other that I had forgotten about her and then I was just focusing on Alfie. The show is certainly clever, but I'm afraid that I will eventually figure stuff out too fast as I keep watching. Also, this one really portrays how intrusive what Miles and friends are doing, with Alfie completely understandable exasperation at finding them on the boat. So like any good show what keeps hooking me are the characters. The emotions surrounding each of them are so good, and the actors are doing a great job getting them across. I was really touched by Ali convincing Arthur to play his sax again. That was such a great episode! I don't have much to say but everything was done just right. The tension between Miles and Cara and their respective romances getting in the way of their possible one is done so non-dramatically that it feels refreshing compared to how heavy-handed other shows would do it. I think a big part of it is how the actors know to hold back on their expressions. The one iffy thing about the episode was that I would expect someone like Falken to know better than leading them to someone that knows his real name. But I suspect this is also planned. OK, now that I've got that off my chest, I really have been liking the show in general. Especially the procedural nature of the Friend-of-the-week plot, and the relationships among Miles's family, all of whom I like. I even hope Uncle Terrence and Aunt Lena work their problems out and we get to see them again - I'd hate to see those two just written off the show. The "find the person behind the God account" arc is moving slower than I'd like, and I'm not sure where they can really go with that, but I'm willing to give the show some leeway there. I keep having recording conflicts for the broadcast and needing to wait and watch later from my cable's on-demand options, but I think I'm all caught up. I'm still enjoying the Friend-of-the-Week & family drama - can't say I care about the 'who is behind the God account' mystery arc. I mean, I can't imagine they're ever going to unequivocally show us who it is. Even if they do establish the who/how/why behind the computing, surely there's always going to be some kind of inexplicable 'no person/computer could have known/predicted this' element to leave it ambiguous if they don't want to go full 'Touched By An Angel' by the end. I don't mind if the show ends up at actual-God being behind the God account though. I feel like they'd find a way to do it without getting all smug and sanctimonious about it in that treacly way of some uber-Christian entertainment based on how they've been portraying religious people on the show so far. When I saw the title for episode 11, I knew I had to watch it right after 10. They both dealt with Miles' mom's death, and while they both had their procedural stuff, the tie-in with the Finers' past was really significant and made the episodes shine. Miles finally getting out exactly how he felt to his dad in episode 10 was really cathartic, and then again in 11 when Arthur explained to Miles why he had to let go of the anger and forgive Charles Cole. Damn Rakesh messing up that kiss! But is Miles really just gonna do that without even dropping a line to Nia first? I guess I'm pretty strict about cheating, and I know some people are ok with a kiss if that means you're going to break it off with your current SO soon afterwards. So Pria is associated with the God account? I'm surprised they're really showing us the nuts and bolts now, instead of it being actual God. Wow so many leads set up in this episode just for the writers to pull the rug from under the group and we're back at square one. So Falken might be real but apparently now this Hayes guy is the actual God Account? But Pria still didn't tell Miles if Falken is involved or where he is, just that she's leaving to go see him? WTF! Way to just leave us all in the dark! Miles' exasperation at Pria was so dam relatable. And with Hayes buying IdentitySeal maybe that means they were on the right track? I guess we'll see! I guess there's a statement being made by the show with the women being the ones to end the relationships. Cara and Nia seem to know themselves and their men better than the men do. But the show is coming around on Cara and Miles and while I found myself having no strong feelings about the pairing, it does give their on screen chemistry a chance to really shine. I still wanna see more of Ali's girlfriend! These were very by the book episodes, with actually pretty great individual stories. The tenants in the apartment building and the high school buddy turned baseball coach were very interesting characters. But the overarching stories of the main characters felt a little slower paced than I wanted. It seems like all of the IdentitySeal stuff with Rakesh is a big drag to answer the question of whether Simon Hayes is running the God account. Then the offscreen breakup of Ali and her girlfriend also felt second-fiddle to everything else. I really wanted the show to explore that more, giving Ali a bigger role, rather than just the helpful bartender character with wise advice. I hope they pursue a successful queer relationship on this show. I'm glad Fliss got brought back. She was a fun character. I'm also glad the episodic story worked out well. Although I think the twist was actually good, I saw it coming a mile away because of other movies/shows. Jaya is back! And I really like that the show addresses how hard long distance relationships really is. The one unrealistic thing was Simon Hayes willing to move the whole project to NY just for Rakesh. But if this is how we get closer to the God Account answer, then sure, whatever. The main focus of Miles and Cara finally getting together is nice. I actually like how long they've dragged this out. It felt like it was just right, pacing wise. And it's pretty great that Fliss got in on the story. The new pastor signaling a retirement for Arthur will make for interesting drama coming soon. I'm glad Arthur is welcoming and supportive of Andrew, and it's very much in character for him to be both worried, old-fashioned, and yet make a great mentor. I've really enjoyed this season/series, and I'd be glad to have it back again, so, we'll see I guess.